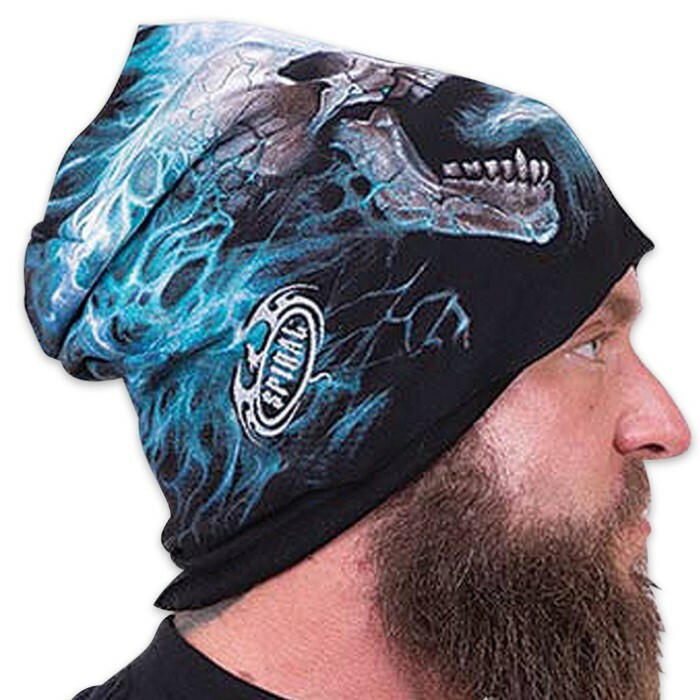 This beanie is a fiery explosion of skulls, spines and bone, dripping in melting lava and blue flames. 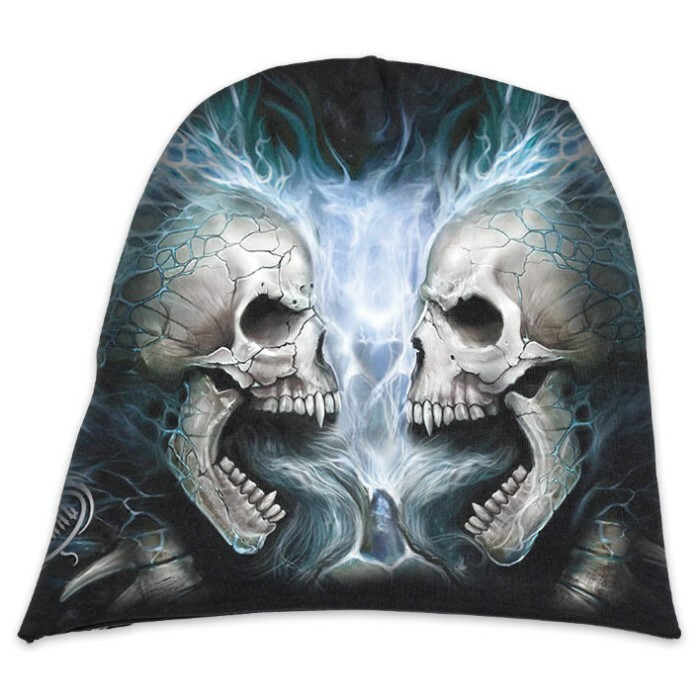 When you wear this incredibly artistic hat with its awesome depiction of two blue blazing skeletons, people will double-take as you walk by. 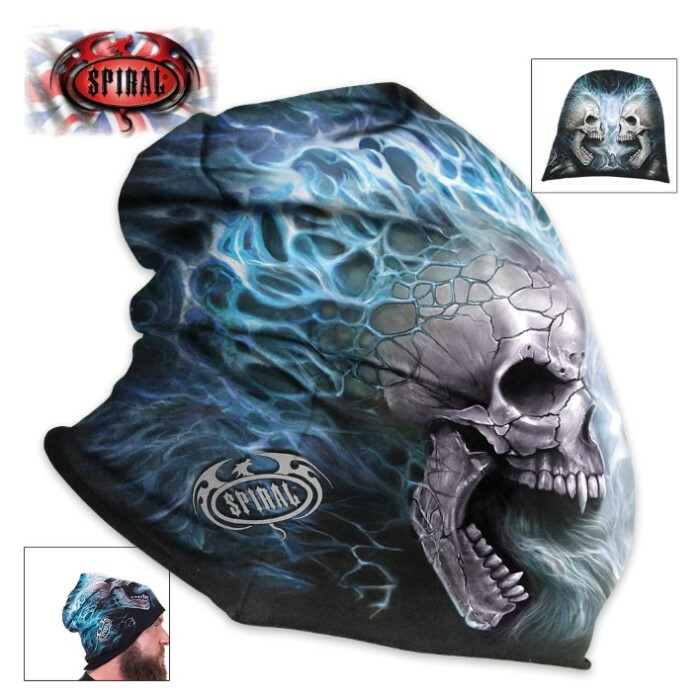 It features vivid original artwork and is made of high quality cotton jersey.